Oh dear me no: I don’t have either! Once upon a time a sports car was a small but perfectly formed vehicle designed exclusively to give pleasure. It didn’t have an enormous engine and often was sans roof, but above all it was cheap and fun. Picture British, French and Italians wending their way through idyllic countryside in a halcyon time motoring. The sun always shone, the wine flowed, and the cheese and bread tasted all the more picante. The smartly dressed boys wore enormous smiles and squealed loudly at every corner, and the girls wore scarves and picture-hats and were all called Audrey Hepburn. The sun set on those times and the era of the sports car ended with it, until clever Mr Mazda recaptured the spirit in his MX 5. It was relatively inexpensive with few gizmos. It didn’t even have the luxury of power steering but it was nippy and handled like an expensive sports shoes. It was to be short lived because the MX5 grew fat on its own success. As it got fatter and fatter, and it cost more and more, the intrinsic sporting heritage ceased to have any real meaning. It became a fairly expensive, not very attractive mid-life-crisis mobile with a folding metal roof. No no no, it all went horribly wrong. Toyota had a crack at it through the nineties but the naughties brought us a dearth of beige on beige with just a MMMPF of beige with not a youthful note to be had. Then, in a spasm of genius conjured from the last vestige petrolnalian pleasure, the 86 and its twin sister, the BRZ were born. They were an immediate hit especially with chavs in jaunty genuine-fake-Burberry caps. And, those boys who have the merest suspicion of facial hair coiffed into the thinnest of outlines passing as a beards simply went mad for it. However, they all felt the need to rice their rides to within an inch of its life. 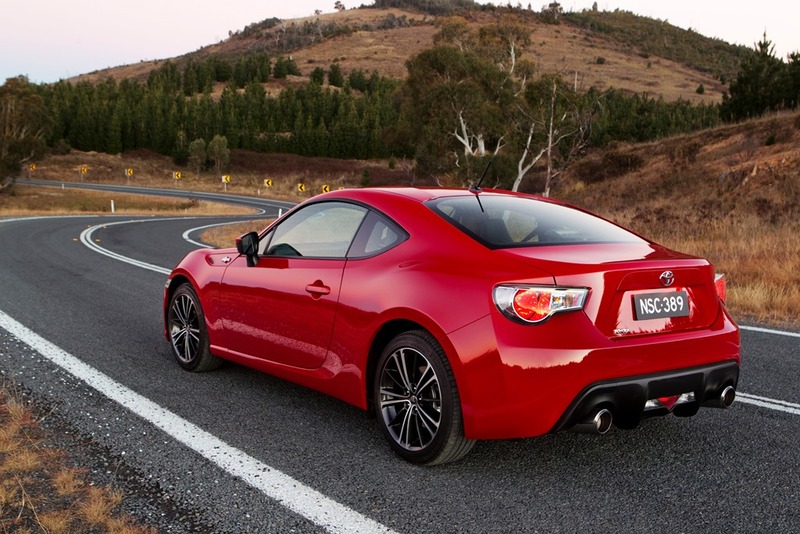 86’s are now found with bright LED tail lights or swoops of bright red where factory illumination had once been. They have fat tyres and some are now rumoured to sport a face-peeling 290KW. That is just insane. The runaway success has created and instant classic and a long queue formed with eager buyers laying down many shekels as deposit on their 12 month wait. And lo, it was good. Other auto makers decided they would like a bit of that pie, and with varying amounts of success offered their own versions. 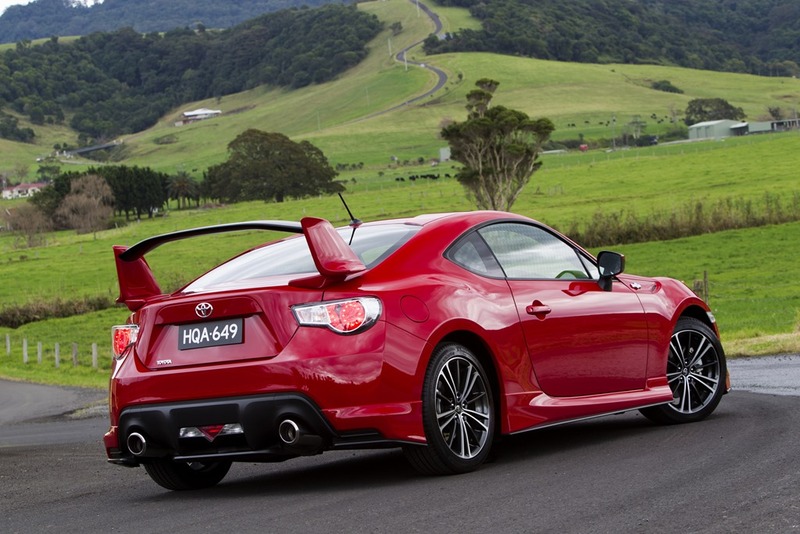 None has come close to matching the 86 for ride and price. Mazda is bringing us an under $40k stripped down version of the MX5 in the hopes of clawing back lost ground, but in a shock manoeuvre, the Koreans have muscled in on the action. 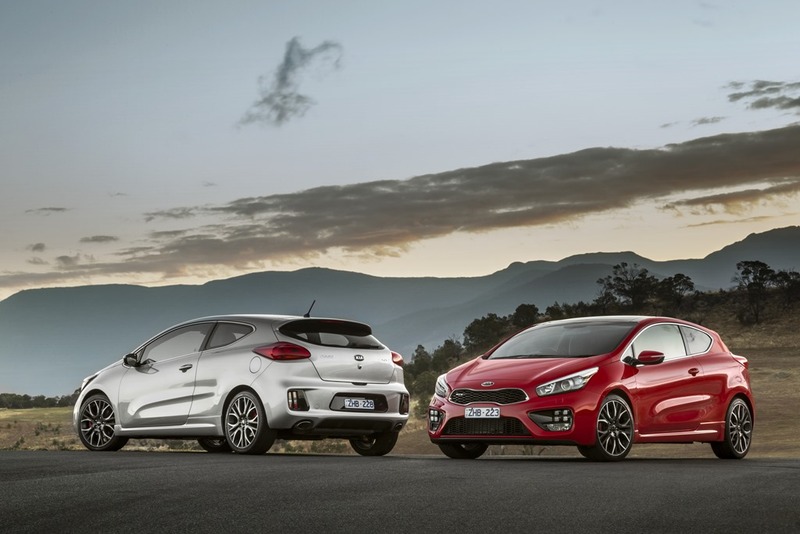 I’ve said before that the Koreans must not be underestimated, and the Pro Cee’d GT from Kia must have a lot of Euro-snobs worried. Japan too will be watching with interest. We’ve told you about both the 86 and the Pro Cee’d GT many times so it seemed only fair to put our favourites side by side. I must admit that I thought it would be a bit of a walkover. I thought the 86 would win easily and we would be generous about the Kia so as not to hurt her feeling. It was not to be, no, in fact quite the opposite. After several days of rigorous testing using only the non-scientific of methods we were more or less deadlocked. The only thing for is was the GayCarBoys Motoring Matrix and several glasses of reasonably priced sweet Italian wine with cheese. The Kia was easier to live with day to day. It was easier to get in and out of, had a hatch, and was several thousand cheaper. Both cars were very handsome and could not be separated on that score. 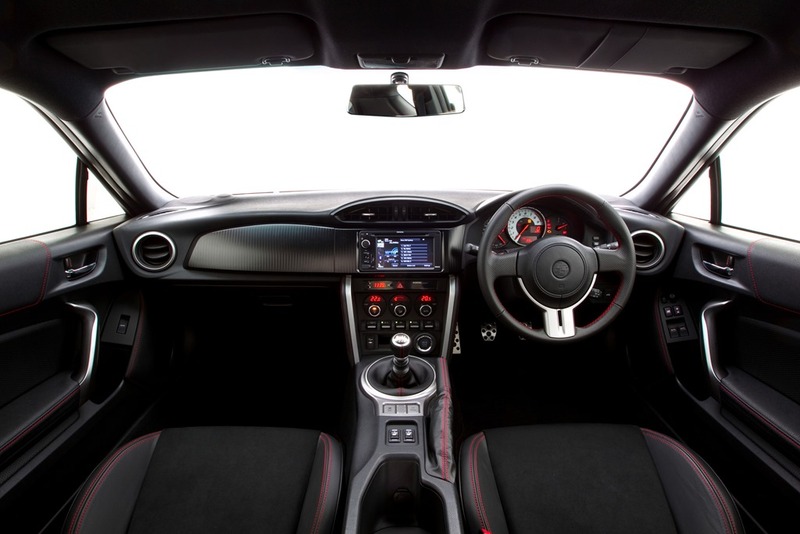 The interiors are very different and I’d probably lean towards the Kia for space and the 86 for sporty appeal. 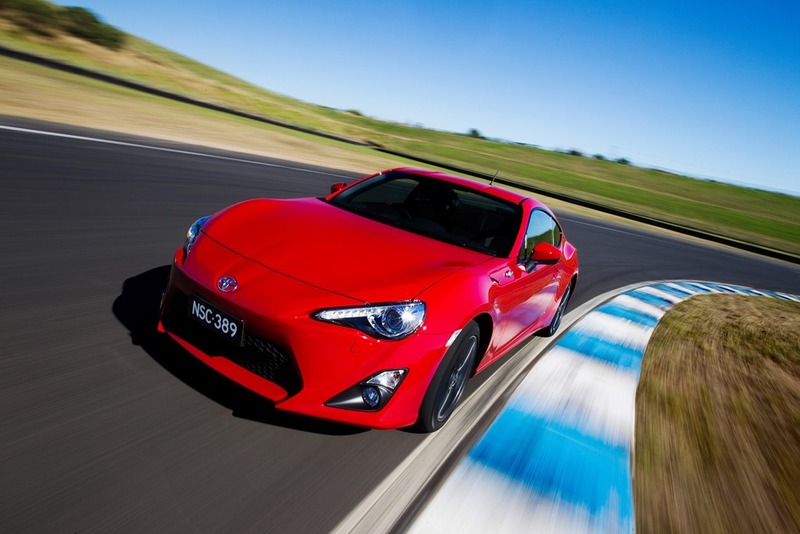 The 86 feels razor sharp with pin-point steering and a notchy gate to the gearbox. 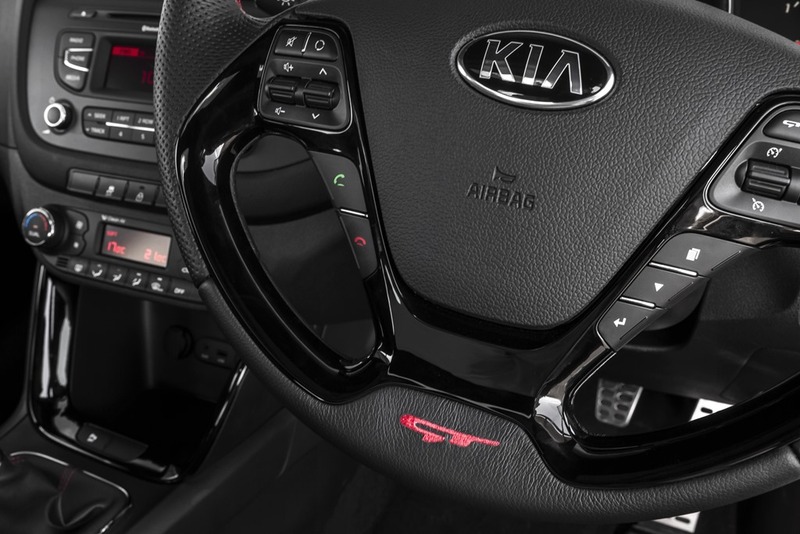 The Kia’s gears were far easier to use, except for the annoying habit of a driver selecting 1st or 3rd while meaning to select 3rd or 1st. 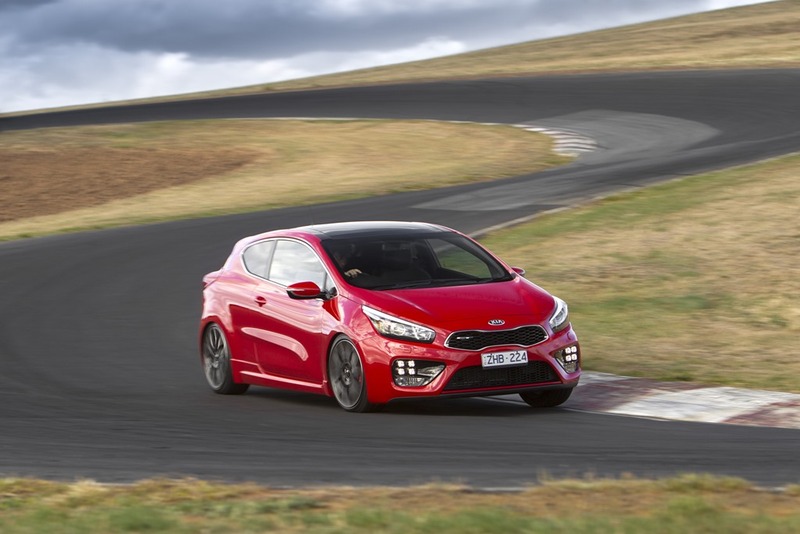 It was a particular curse at lights when trying to impress a pretty young things in utes with P plates, but finding with the Kia in 3rd, one only succeeds in snuffing the life from the motor instead of powering off at the green. Perhaps an owner would get used to this quirk. We took the pair up the old Pacific highway towards the central coast. Canny bikers have known of this track since the new road went in many moons ago. The longer stretches revealed both cars had lovely long legs, but even minor imperfections saw the bum of the 86 bob about uncomfortably, while the Kia felt most recherché. It was almost limo-like in comparison. From its driver’s seat, I wondered why the 86 in front looked like it was driving on a cobbled goat track while we were hardly troubled in the Pro Cee’d. On the drive back I realised that I could feel bumps in it which the Kia ironed out without fuss. The tight corners were very suited to the 86 and its scalpel-like handling. The Kia was no less precise but much less sharp, if that makes any sense at all. During the last drive, part of which was on a race track, I noted the steering wasn’t quite there but that I quite liked the feel. 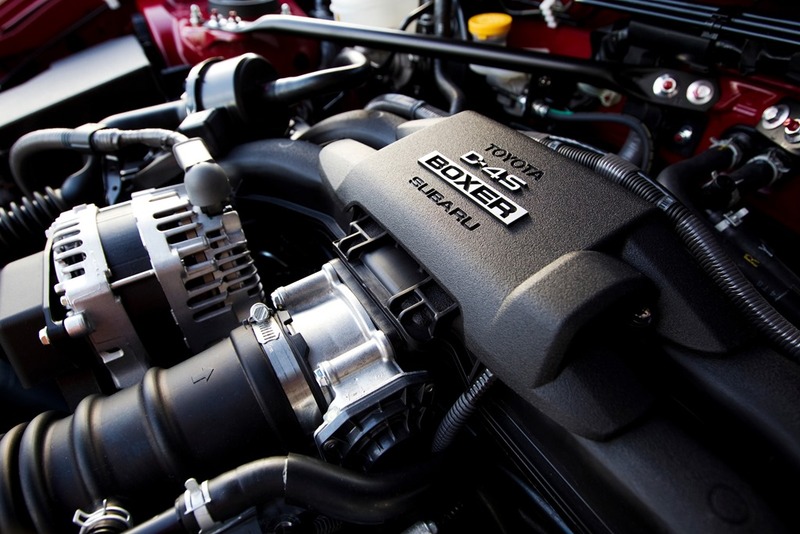 It was more progressive than the Toyota so is more a matter of taste than performance as to which one a driver prefers. On another drive, the hairpin switchbacks on the back road to Springwood in the Blue Mountains, demonstrated the ability of the Kia to stay in a slightly higher gear. It then powered out of a corner and up a hill as the turbo gently delivered more grunt. The 86 struggled a little to keep up. 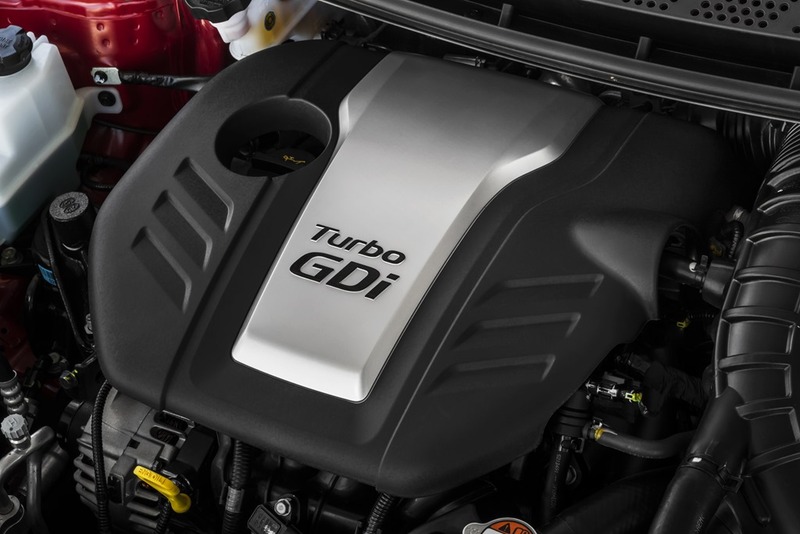 Remember, The Kia has 60 more torques and 3 more Kilowatts, but the torque made a huge difference. Both engines are sublime. 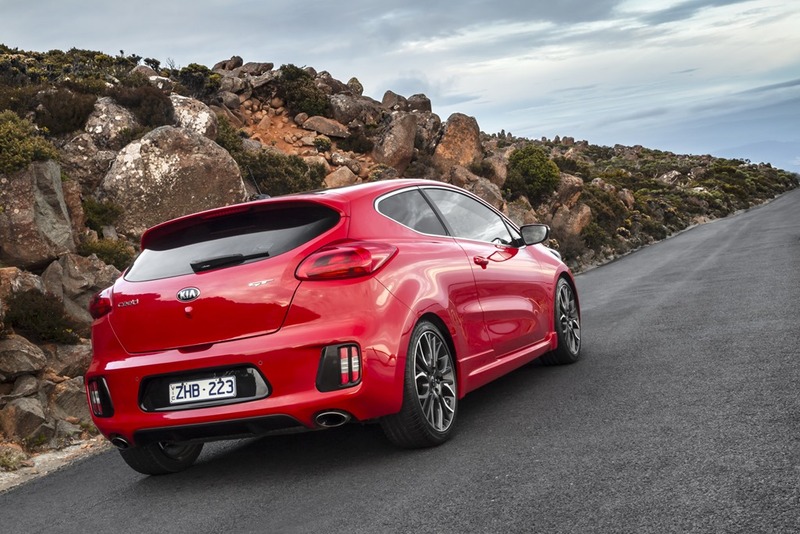 The Kia’s is smooth and silky and feels like it will rev through to the red then ask for more. The Toyota is willing and slightly more reminiscent of those sporting days gone by. It is louder and has that delicious and distinctive “boxer” burble. The Recaros in the Kia are far more comfortable than the 86, and in the 86 you need the body of an Olympic swimmer to fit snuggly. The rest of us have bits hanging out rather unattractively to be poked at by naughty 8 year olds in the passenger’s seat who think uncle needs to cut a few champers from his evening ritual. The Matrix had some 22 points to be rated and after several unsuccessful attempts to enter it into Excel I opted to highlight a few. 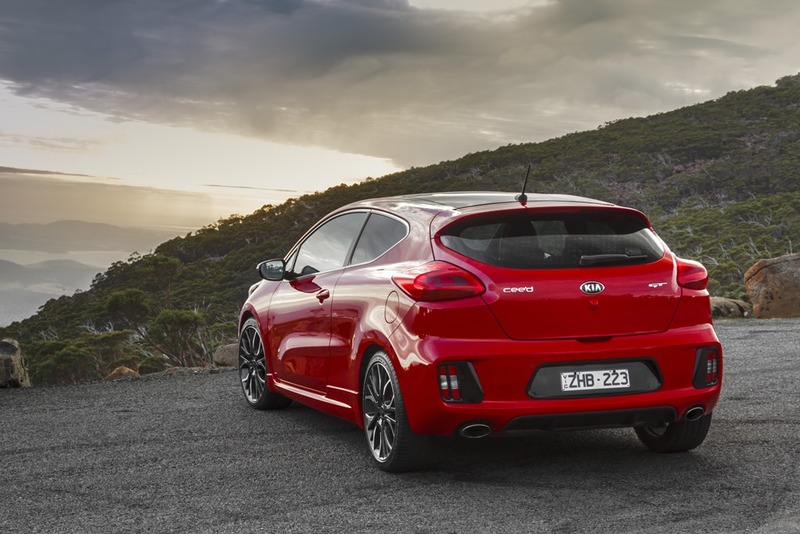 The Kia was ahead in comfort, economy and performance. 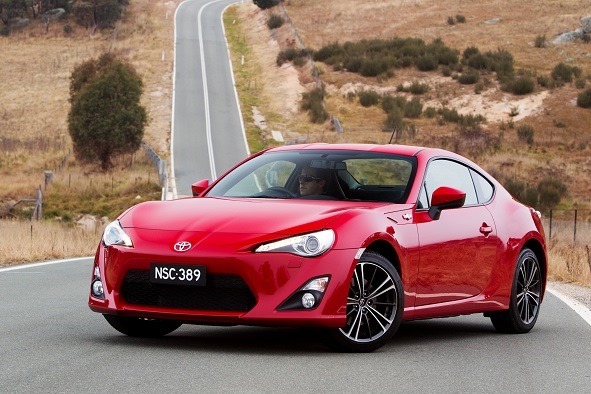 The 86 led on overall sportiness, steering feel and handling. One important issue for me was that the Kia takes 91ron but the 86 insists of budget-breaking 98ron fuel. That is often a 20c p/l difference. In the end we thought it would be close but the final score was Toyota – 260 and Kia – 306.5. I realise this was little more than a couple of the chaps out on a Sunday arvo spin, but isn’t that what these two were built for? We decided that for the track we preferred the 86 but on a long trip we would pick the Pro Cee’d every time. The opening full glass roof was a clincher as if the fuel issue wasn’t enough. I’m waiting for the next iteration of Toyota’s corporate audio system. The current one has all the good but is so hard to use especially on the move. Big ol’ sausage fingers have no hope, and the play and pause buttons vanish magically when you plug you Iphone in and switch to Ipod mode. I have a love/hate relationship with it but the sound is fabulous. I want to stress that if given either car for free, a driver would be giddy with joy. He or she would giggle like a schoolgirl and be pleased as punch when handsome strangers spark up chats about it. Purchasing either with our own money would deliver many years of happy motoring, but no matter which, you might secretly hanker for a spin in the other.